I will explain a bit of the process we have gone through over the past month and a half with the pictures I have been taking of our progress! 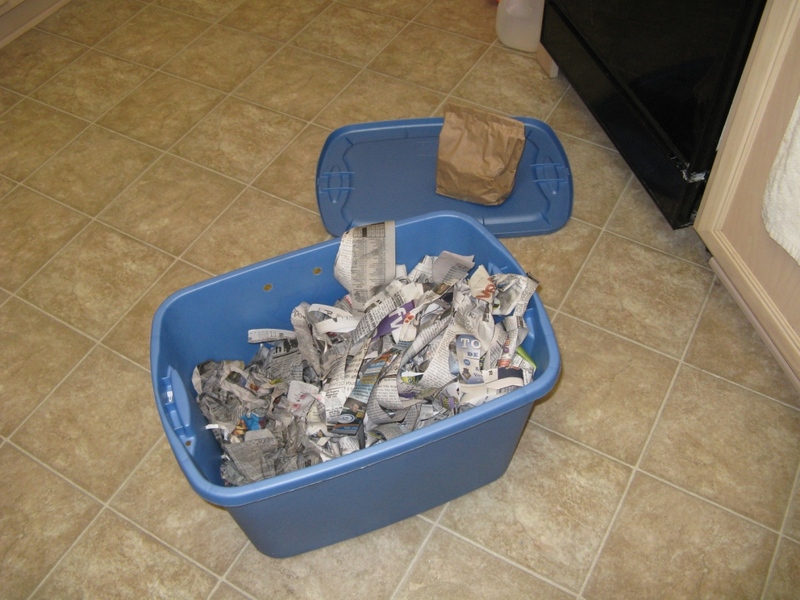 Basically, you have to feed the worms daily or at least on a regular basis. 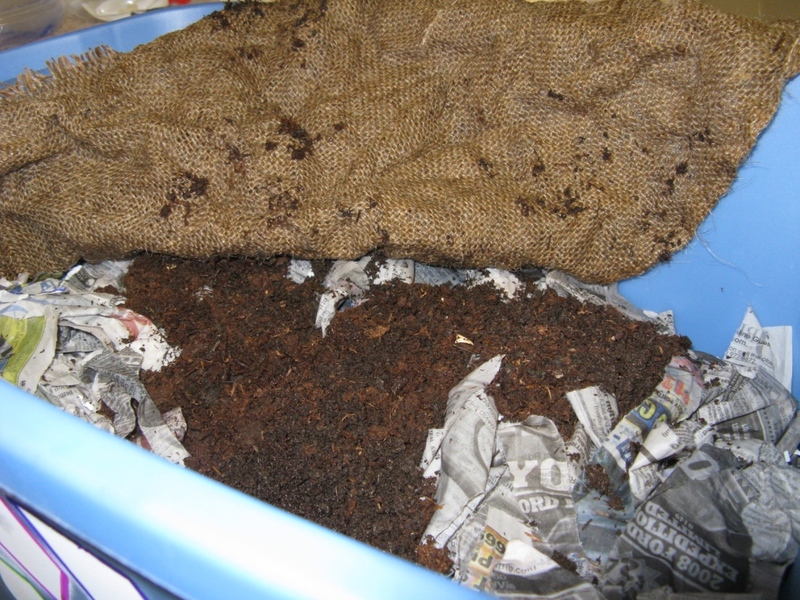 You have to make sure they stay moist (hence the burlap that must be moistened daily that goes over the top). 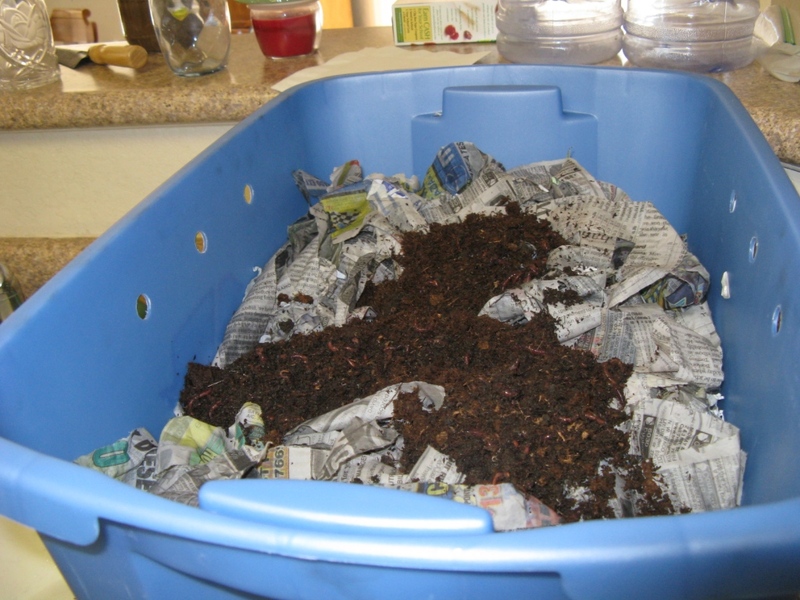 Then, after about 2 months, your number of worms should have doubled and your ability to compost will also double–the more worms you have, the more they can “eat” and the more wonderful “dirt” they will make! 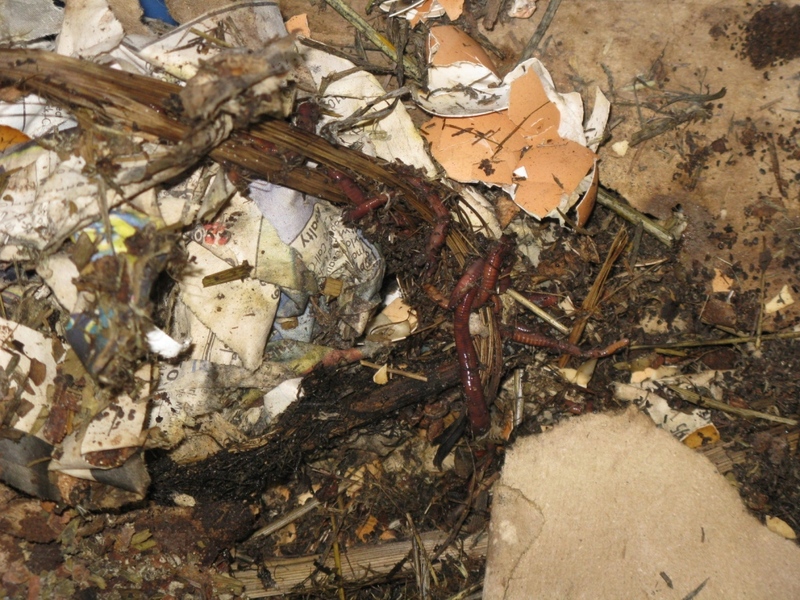 The type of worms we have are called Tiger worms or redworms. 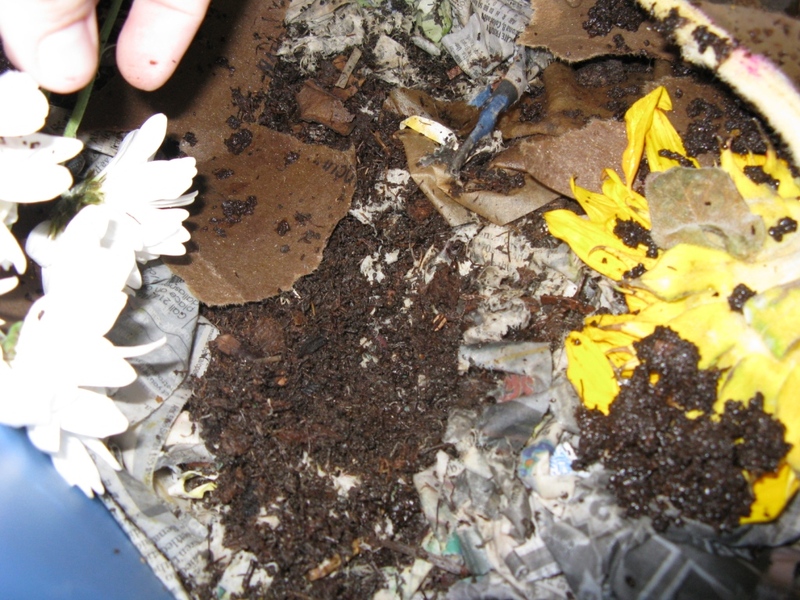 They are best suited for composting because they thrive on decaying material and “eat” the most kinds of organic material. This first set are all from the first day of set up on 5-18-08. 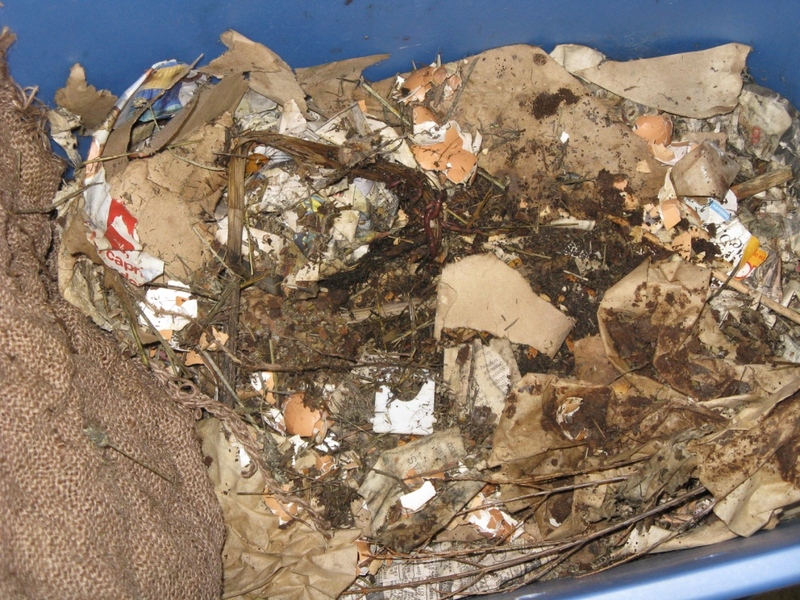 Here we have the raw materials of the kit–brown bag with worms, plastic tote, shredded newspaper. 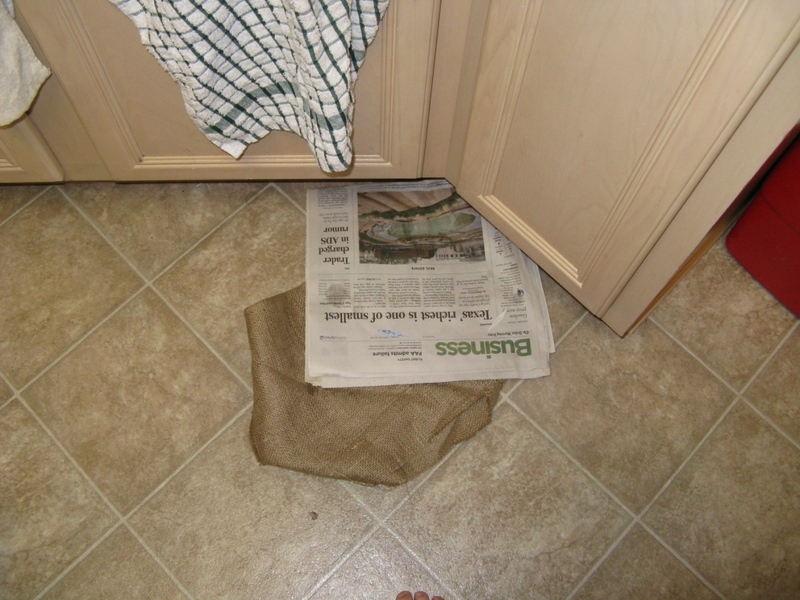 Here is the extra newspaper and the piece of burlap. 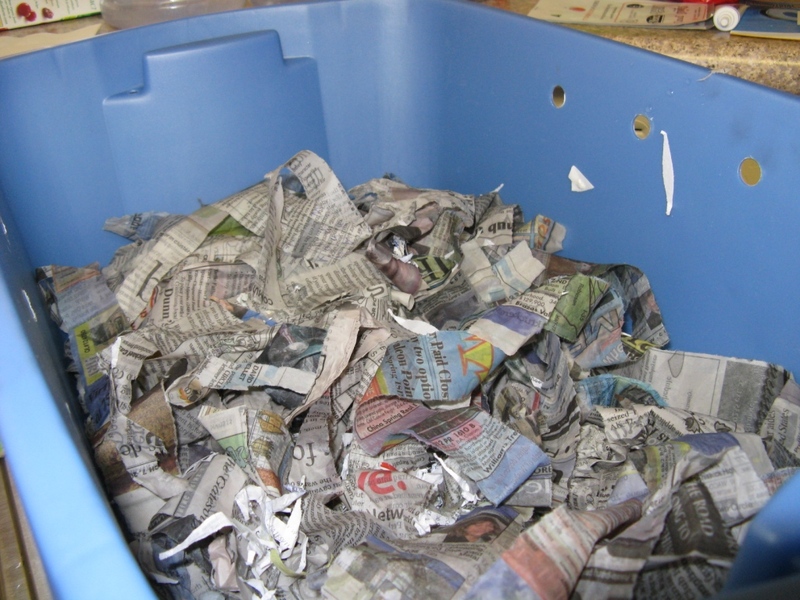 This is the bin with the now moistened shredded newspaper–you have to moisten and “fluff” each piece of newspaper so their will be room for the worms to move around! 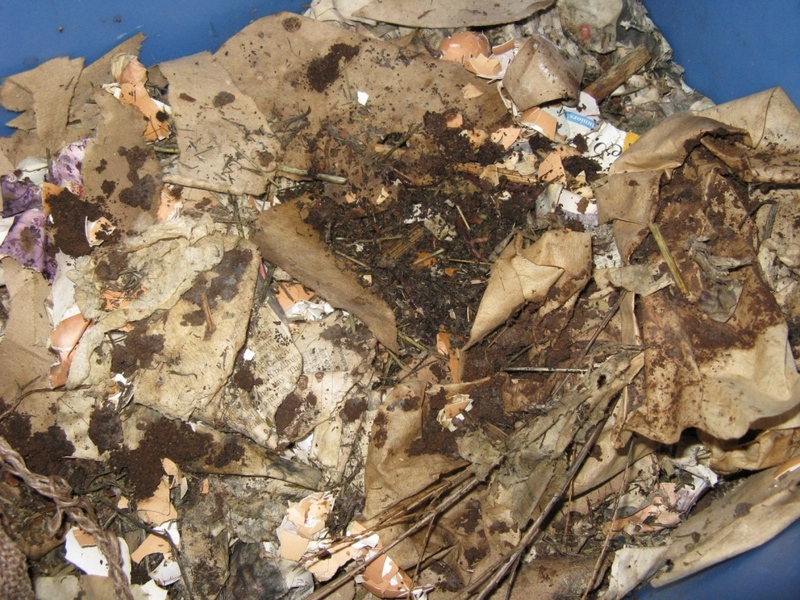 Here are the worms (and dirt) dumped on top of the newspapers. 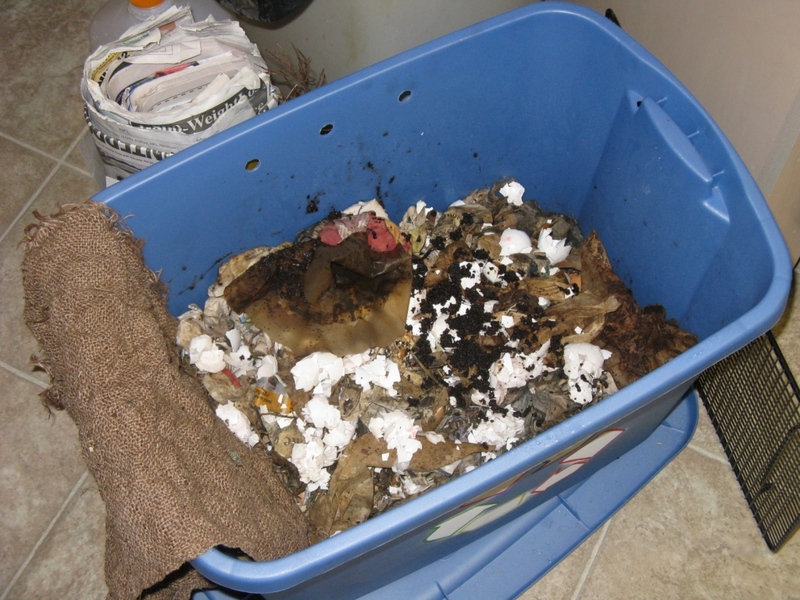 You don’t mix it in…you just let them go where they want. 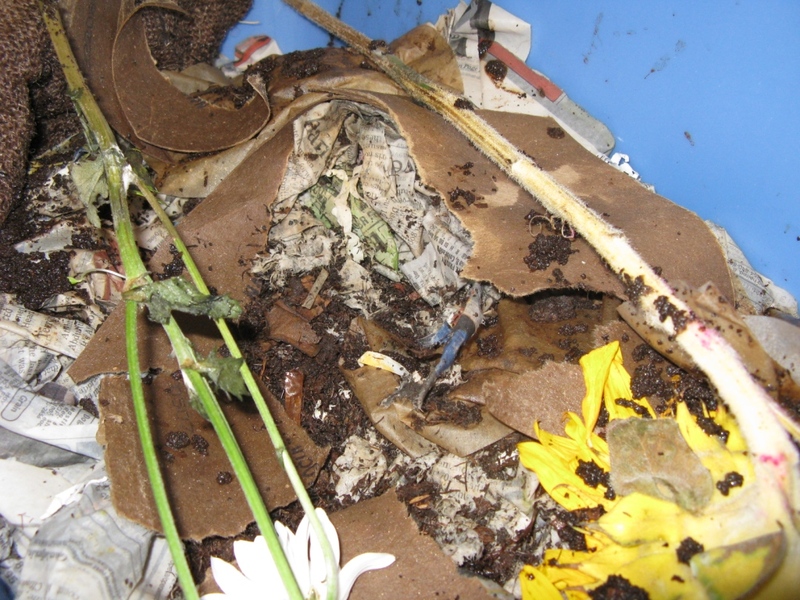 This is a close up of the worms. 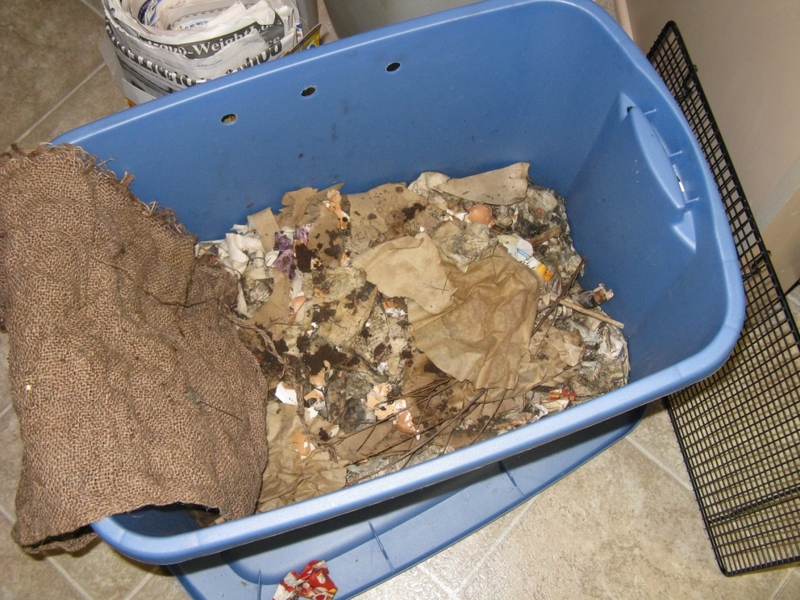 Here is the completed set up with the moistened burlap cloth on top. 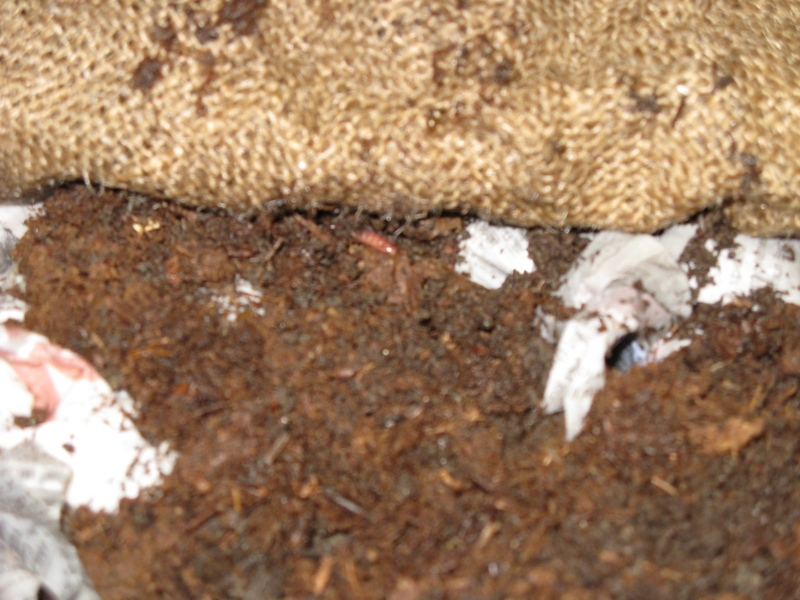 This is a view of what is under the burlap. 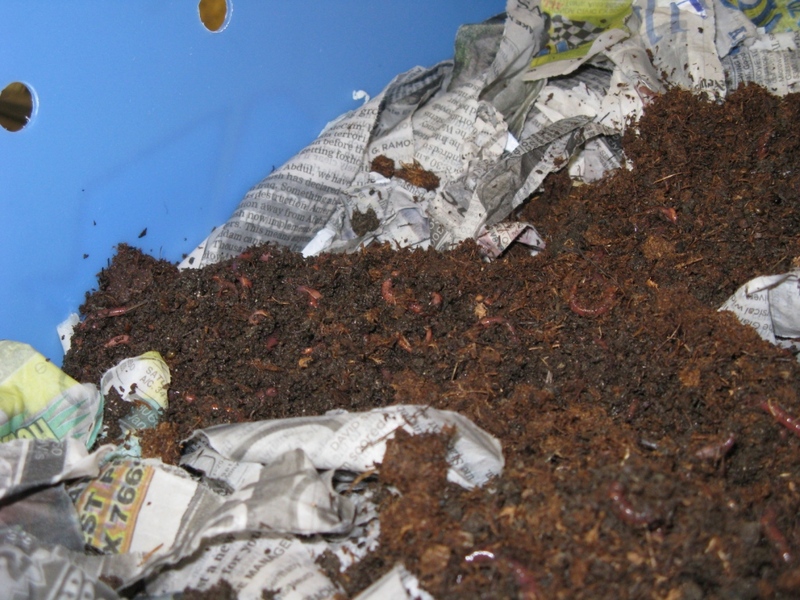 Another close up of the worms. 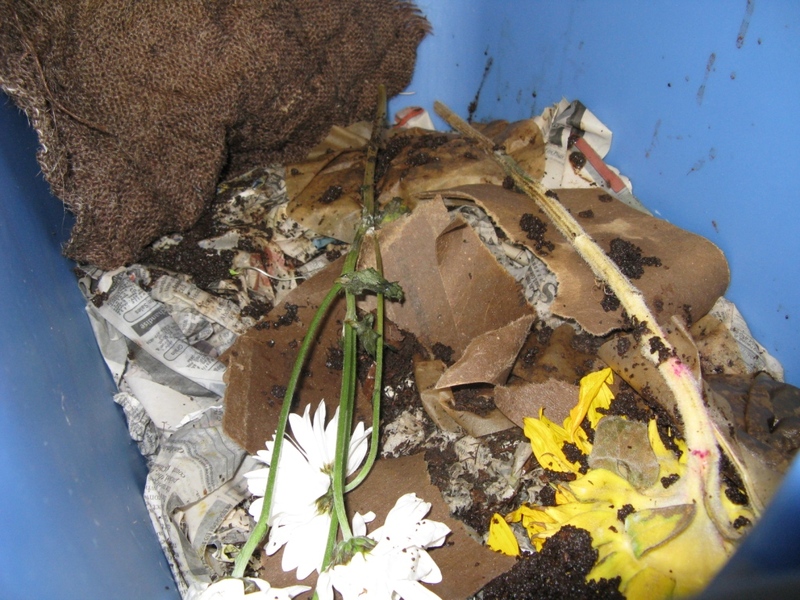 We’ve been adding coffee grounds and filters, paper towel roll–torn up, dying flowers, etc. There are more worms and they are much BIGGER also! 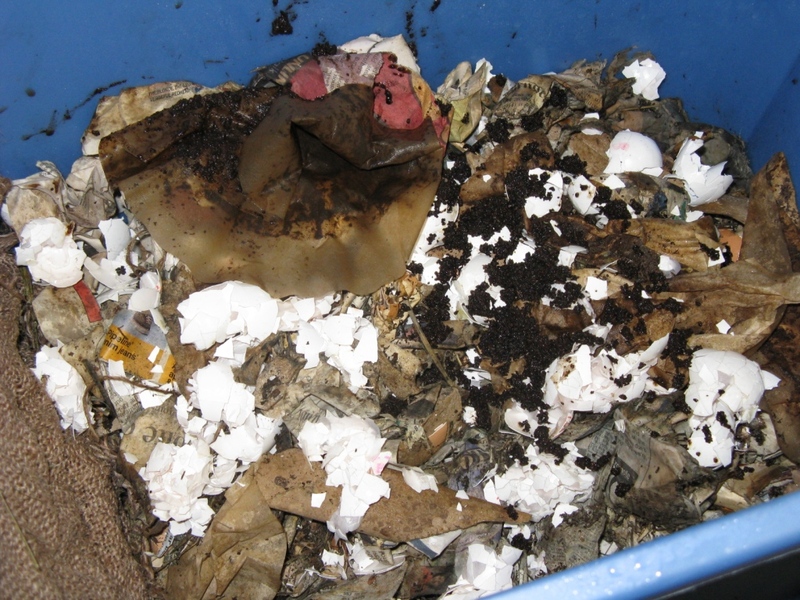 Here we have just added more coffee grounds, coffee filter and egg shells. 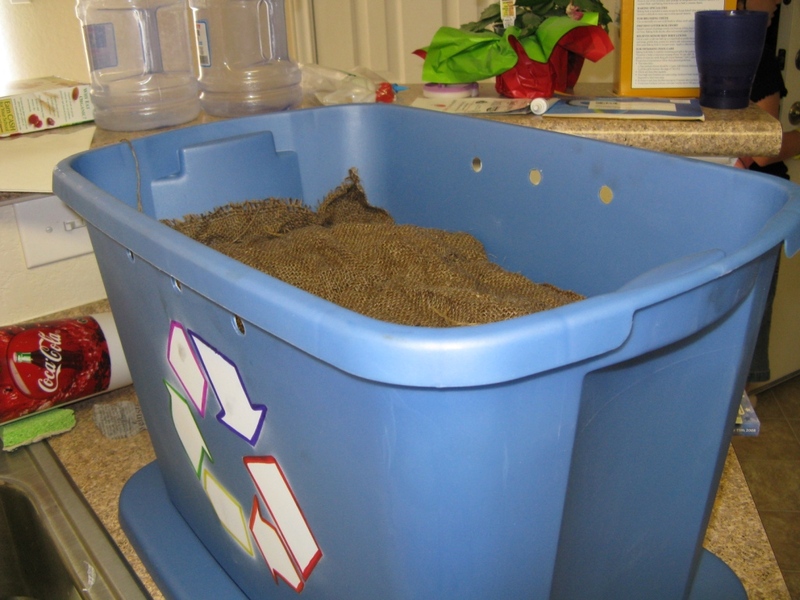 If you are interested in learning more about how this all works, check out the links below for books that I purchased with my kit so we will be able to additional activities and learn more about the different types of worms and what they eat, etc.